VINTAGE FUN FOR MODERN TIMES ! NO NEED TO BOOK WITH A PARTNER ! All classes are small and includes practice time and one to one help. ​Classes are small so you will get the help you need. Drop in any week. You will learn two moves. Each week we repeat one move and revise another. Beginners means beginners! 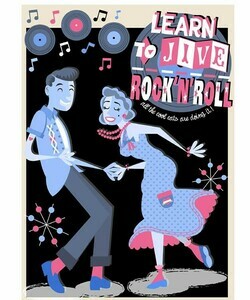 So if you have never danced before or are very rusty THIS is the class for you! For students with some partner dance experience OR for students who have completed our Beginners classes. Learn Two moves a week. Each week we repeat one move and revise another. Brush up your skills and learn some new moves !